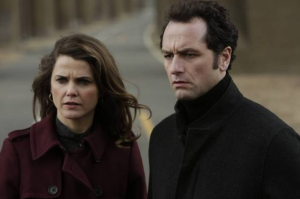 Home » About The Americans » Keri Russell And Mathew Rhys are Expecting: Will They Name the Baby Paige? 39 year old star of “The Americans” Television show Keri Russell is reportedly more then 4 months pregnant with her third child. Keri has two other children, a son, River, who is 8 years old, and a daughter, Willa Lou, who is 4 years old. This will be her first child by her “The Americans” Co Star Mathew Rhys. Her previous children where from her 2007 – 2013 husband Shane Deary. (This will be Rhys first child). Russell and Deary’s separation was first announced under strange circumstance when Russell’s home was broken into, and it was revealed that she was home alone because her and her husband were separated. 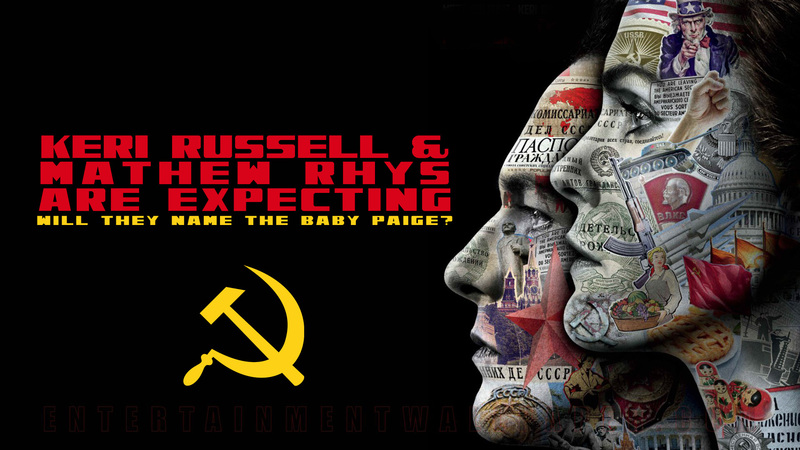 A short time later, rumors began circulating that Russell and Rhys (who play Soviet Spy’s pretending to be a real couple in “The Americans”) where actually a real couple. In April of 2014, Russell and Rhys publicly acknowledged their romance. The couple has shied away from discussing their romance much in public. 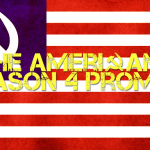 “The Americans is well underway with the shooting of its 4th season (which will premiere in March). There is no new as to how Keri Russell’s pregnancy will fit in with the show. It remains to be seen whether the writers will add the pregnancy to the story line, or if the production team will simply “shoot around it”. 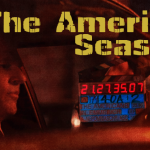 Either way, with all the intense action we are used to seeing in “The Americans” I am sure Keri’s stunt double (and body double) are putting in extra hours this season. It seems kind of funny that two people who get hired to play two people whos job it is to pretend to be a married couple on TV actually become a couple in real life, and now they are having a child together that might have to be hidden in the TV show where they play a couple who has to hide that they aren’t really a married couple but in fact a pair of soviet spies. This is all getting confusing. We sincerely wish all the best for Keri and Mathew and their upcoming bouncing bundle of soviet spy joy (am I confusing the show with reality again?). And we hope that Keri times the birth so as to not interfere with season 5. Love The Americans. Am a loyal fan since day 1!! Had no idea the couple was a couple off the screen but think it’s awesome, and that they are having a child together, is so exciting! I could not be happier for them. Congrats to Kerri and Mathew, and thank you for bringing quality back to television.